Your smart meter makes it possible for you to have prepaid energy, and the real-time information it collects and displays in your home can help you manage your energy usage and costs. But first, you need to learn how to read your smart meter. It’s simple. There are three displays on your smart meter. The first lets you know if your electric service is on. Generally, the display will read “CLS” when the power is on and “OPN” if your electricity is off. The second shows you how much electricity in kilowatt-hours (kWh) you have used for the current billing term. That’s also called your cumulative usage. 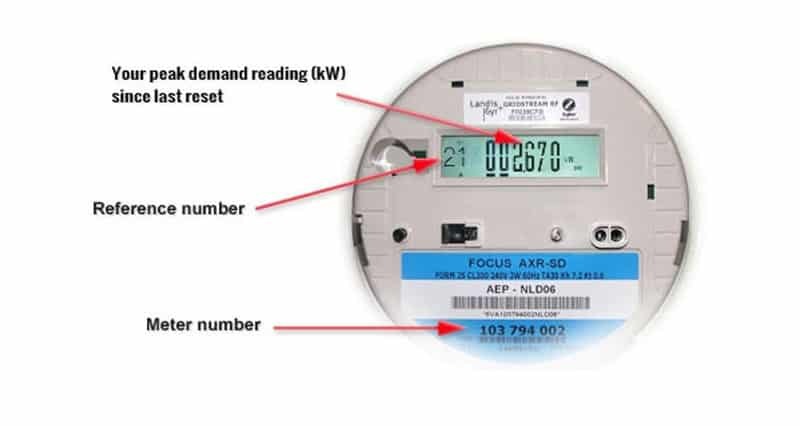 The third number shows your electricity demand reading. Your TDU uses this number to calculate the amount of electricity being used by people in your service area at various times.